What Really is the Question? How Do the Great Books Classes Work? Our Great Books students were very fortunate this past semester (2018) to have Fr. Fessio as a moderator for some of their classes! 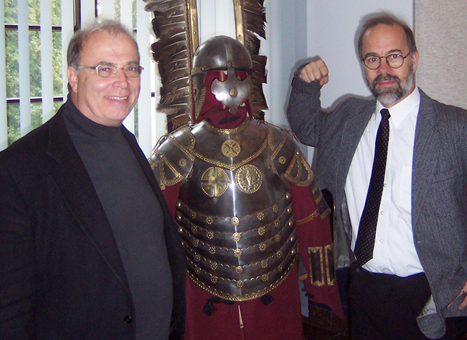 “This was a very informative and inspiring [Angelicum Great Books class on Brothers Karamotsov]. I hope you keep doing this kind of work. It is going to form you people to be very solid citizens of both the earthly and heavenly kingdoms. God bless you all.” – Fr. Joseph Fessio, SJ, Th.D. “This particular [Angelicum Great Books class on Leviathan] session has been brilliant. It should be recorded and used in advertising for the program. The comments are excellent, well articulated – I’m sorry to praise you; I don’t want you people to lose humility. Well, you won’t lose humility if you read great books because you’ll realize how small you are in comparison to these giants we are reading.”- Fr. 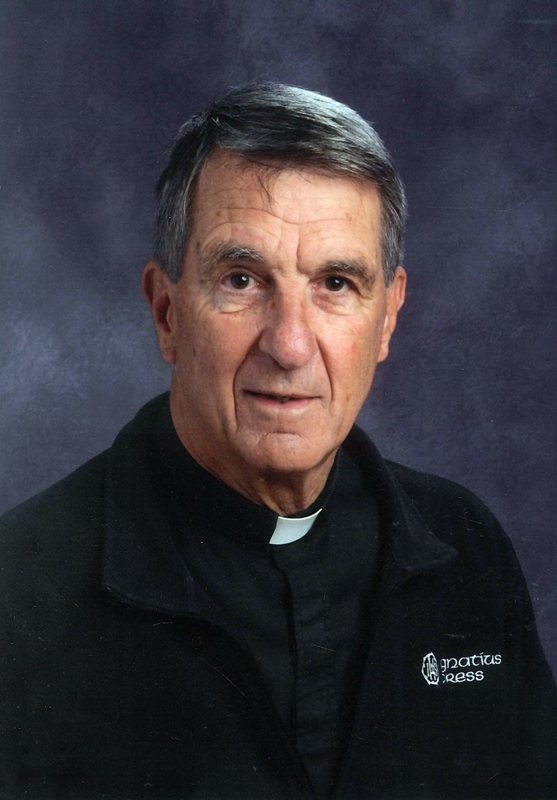 Joseph Fessio, SJ, Th.D. The Great Books Program consists of eight semesters (four years) of online classes meeting 2 hours per week, September-May, discussing the reading from one of the great classics of Western civilization – Great Books – done that week. Students do the weekly Great Books reading and meet for a two-hour weekly discussion with two highly experienced moderators very familiar with the readings, and up to 22 students online (average is about 18), including some from various States and often from various countries. Two 900-1000 word (or 1800-2000 in the college tracks) essays are required each semester. Students have a month to do each, and may redo to improve them – as many times as they wish – for a higher grade. Students take an online oral exam online at the end of each semester. The classes are conducted in a conversational, or Socratic, format. Our method of teaching by conversationally discussing questions and answers in a spirit of mutual inquiry and discovery dates back to Socrates and is at the heart of the Great Books and classical traditions. It leads students to develop and practice the liberal arts of listening, speaking, reading and writing as well as the habits of reflective, critical thinking. In this environment students begin to develop their thoughts and insights with care and confidence and learn how to express those ideas in the naturally delightful and liberating experience of genuine learning. In this way students gain understanding of their own natures and the nature of the world in which we all live. This makes for a better, examined and thoughtful life, a point on which all the sages who wrote the great books agree. Visitors are welcome to attend the classes to experience them. We have some audio samples of the classes posted online. There are two modes to enroll and be in the classes: either for high-school-level credit, or for college-level credit (which also includes high school credit). We refer to these two modes of participation and enrollment as the high-school-track and the college-track. College track students may earn up to 60 college credits, which is typically ½ of a bachelor’s degree, where the credits are received for transfer. The college-track may also be taken as part of the Associate’s degree (or “AA”) track, in which students also take five online courses from Holy Apostles College during their 11th and/or 12th grade years. Combined with the Great Books courses, this enables them to earn 60 college credits by the completion of their 12th grade, and an accredited Associate’s degree (in the Liberal Arts) from Holy Apostles College. If they take our four Theology Online courses they may earn up to 75 college credits (of the 120 needed for a Bachelor’s degree), and have the option of receiving an Associate’s degree in Theology, again, by the conclusion of 12th grade. If this is of interest please visit the “Degree Programs” tab. With 75 credits earned, only another 45 are needed for an accredited bachelor’s degree. These may be earned in as little as three semesters-one year (taking 15 credits each in the Summer, Fall, and Spring terms at Holy Apostles, on-campus or online). Full details are available under the Associate’s degree FAQ tab. In addition to the study described above, college-track students must submit weekly, written answers – mostly of the short answer-type (a few sentences to a paragraph or two) – to the Great Books Study Guide questions which accompany each reading. There are 10-20 such questions each week. Two 1800-2000 word essays per semester are required of college track students. These are graded for content as well as for English language arts, including grammar, syntax, spelling, vocabulary and style. These essays together constitute ten percent (25%) of the semester grade. All students take an oral exam online at the end of each semester. The weekly grading, the coordination with colleges, more involved assessment and so on, make the college-track tuition considerably more than the high-school-track. Students in the classes are generally unaware which students are doing it on the high-school-track, and which on the college-track, as it makes no difference in the online classes where they come into contact. Students must be at least 14 years of age (or 9th grade) to enroll in the Great Books Program. There is no upper age limit. We often have college students and adults in classes, though the great majority begin at age 14 or so. 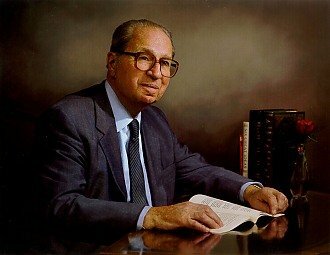 The experienced moderators and the magnificent quality of the books read and discussed –which Dr. Adler called the “backbone of a liberal education – invariably elevate the conversation and enlighten the intellects of participants. The specific readings selected are arranged chronologically beginning around Homer’s Illiad about ancient Greece (1st year), and continue through ancient Rome (2nd year), the Middle Ages (3rd year), and conclude in our time (Modern or 4th year). This is typical of Great Books programs at colleges and universities. We have been doing this since our founding in 2000 A.D. We have had thousands of students, in about 40 countries, many of whom have graduated and attend or graduated from numerous colleges and universities. Our program was successfully reviewed by the American Council on Education (ACE) which recommended it for 48 hours of college level credit. The American Council on Education’s College Credit Recommendation Service (ACE CREDIT) twice evaluated and recommended college credit for 8 courses (totaling 48 credit hours – 6 per semester) of our Great Books Program. The American Council on Education, the major coordinating body for all the nation’s higher education institutions, seeks to provide leadership and a unifying voice on key higher education issues and to influence public policy through advocacy, research, and program initiatives. For more than 30 years, colleges and universities have trusted ACE CREDIT to provide reliable course equivalency information to facilitate their decisions to award academic credit. The Great Books Program is a purely distance education program with only minimal technical support needed to assist its professors who moderate our weekly, online, live classes (i.e., not recorded, no delayed “chat” rooms) from their homes or offices around the country. This dramatically reduces costs thus enabling more students to attend and complete these high school/college level Great Books courses who would otherwise not be able to do so. While we have video capability, we rarely use it, in preference for the much less-distracting live-audio only, with various images posted (such as photos, maps, verse, texts, etc.). The Great Books Program students do not need to be enrolled in the Angelicum Academy, nor to have come from the Angelicum homeschool program, nor to have had any of the 3-8th grade Socratic classes. The Great Books Program is operated independently of these, though they were designed to dovetail. Most of our students have not come from the Angelicum Academy – they come from many programs, from charter schools, from public or private schools, and from homes not using any formal homeschool program. Over the years some schools have adopted all or parts of our curriculum. The curriculum for the Angelicum Academy homeschool program orients students towards the Great Books program, in various ways, and we obviously recommend it, but it is not a necessary prerequisite for the study of the Great Books. Our new, online, Greats Honors Program for students in the 9th-12th grades, is a perfect complement to the Great Books Program, and in fact envisions the same students taking both the Great Books courses and the Great Courses together in one, integrated curriculum-The Greats Honors Program- and was designed for that very purpose: to provide the very finest, online educational experience possible. 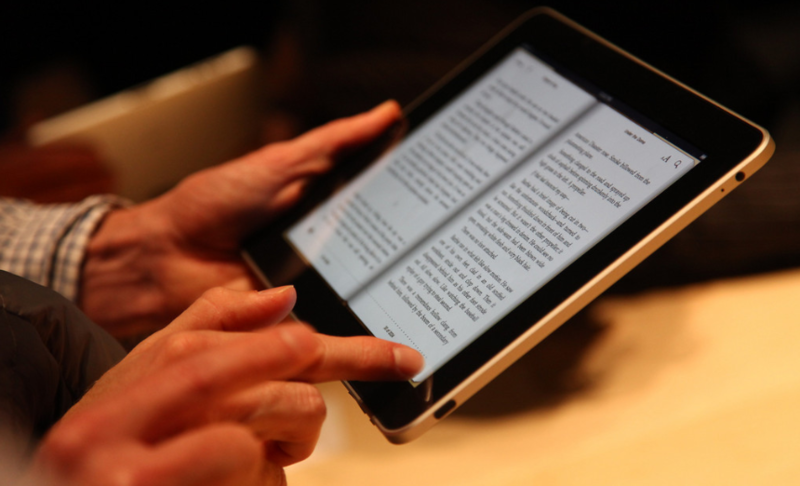 Most of the Great Books can be downloaded free to a Kindle! Ten years later, taking Dr. Adler’s words and personal encouragement to heart, in 2000 AD we developed The Great Books Program for students high school and college age and up. Much like the AP science courses for which high school students can earn college credits for completing courses of college level content and rigor, The Great Books Program allows willing students to gain a broad, liberal (i.e. from liber or libertas – liberty, or freeing from ignorance) education in the humanities through the study of the great books while in high school or college, via distance education, for college credit. Some of the figures above vary a little due to rounding. For Policies relating to our Associates Degree, A.A. track, please visit LINK. Thank you.